The year 2015 may be many things, but one thing is certain; it is the year of the spy. 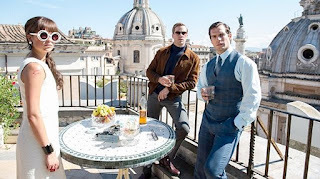 With two pretty fantastic spy films already released, Kingsman: The Secret Service and Mission: Impossible – Rogue Nation (Review), and two more on the way, Spectre and Bridge of Spies, The Man from U.N.C.L.E. is unofficially the midway mark for espionage this year. The 60s TV show of the same name is revived to produce a more lighthearted, cold war era film and is nothing if not enjoyable, despite some flaws. Napoleon Solo (Henry Cavill), a former criminal turned CIA Agent, recruits an East German girl named Gaby (Alicia Vikander) to help find her father, a German nuclear scientist. This doesn’t happen without some difficulty, as Illya Kuryakin (Armie Hammer), a quite large KGB operative, attempts to chase down the CIA agent and the mechanic girl. In an unlikely turn of events, it is revealed that the CIA and KGB will be working together, making Solo and Kuryakin unwilling partners, to take down the Nazi-affiliated Victoria Vinciguerra (Elizabeth Debicki). And that’s it story wise. It certainly isn’t complex and while there are some twists along the way, the story remains rather linear as it follows the two agents along on their mission. The acting is nothing to write home about, but isn’t bad either. 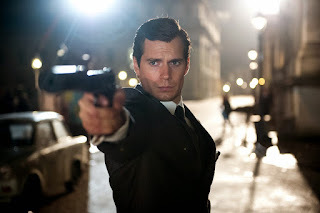 Cavill, a Brit playing an American, sports a semi-convincing accent and is suave and cool in a Bond-ish way. Hammer, an American playing a Russian, has a less than stellar accent but is able to make up for it by playing the anger filled and straight laced Kuryakin. Vikander, a Swede playing a German, doesn’t really struggle with an accent and luckily gets to be more than just a pretty face. Unfortunately Hugh Grant, as Alexander Waverly, is extremely underused in a role he is clearly having fun with. Guy Ritchie, the film’s director and writer, definitely has his own style. If you’ve never seen one his films before, it certainly might throw you off a little bit. But the face paced and kinetic filmmaking combined with the period sets, costumes and music make for at the very least an amazing visual experience. However, Ritchie’s style backfires on him with The Man from U.N.C.L.E. The film is a lot of style without the substance to back it up. The story, as stated before, is extremely lacking and the film as whole is very uneven and often changes in tone. While the film is largely comedic and lighthearted, it will take sudden turns where the film is serious and overall makes some moments jarring. That being said, the moments that do hit work really well. In particular is a certain scene where Solo abandons his partner in the middle of a chase and instead eats a sandwich as Kuryakin goes down in flames. 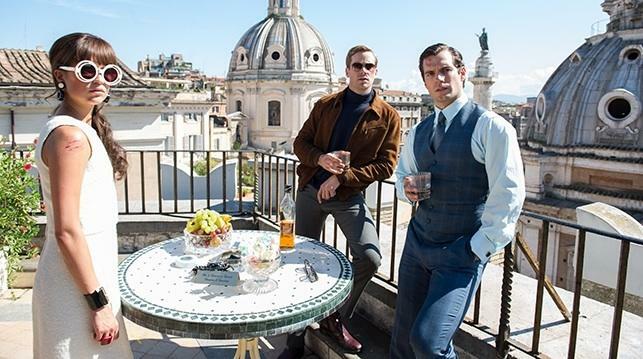 So what did you think of The Man from U.N.C.L.E.? Have you seen it, are you interested in seeing it, or is the style a little too much for you? Sound off below with your comments or feedback and remember to come back for weekly reviews.